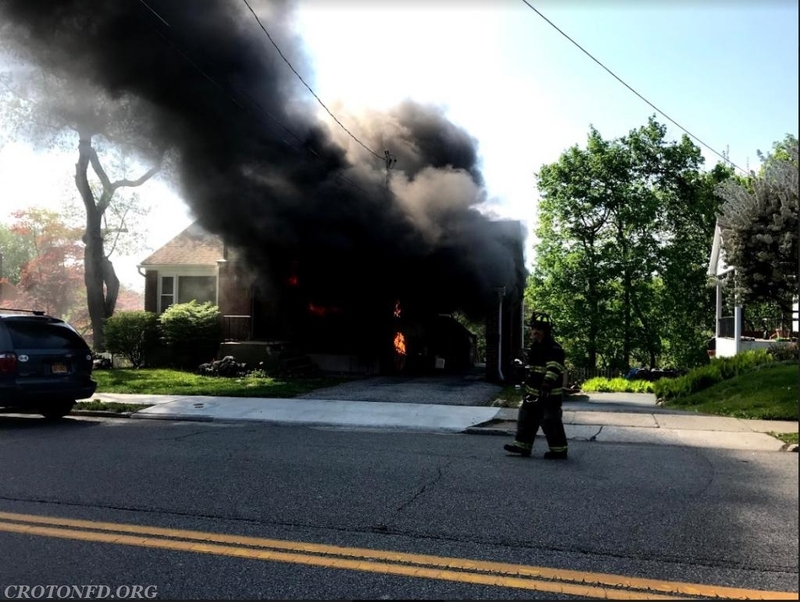 The Croton-on-Hudson Fire Department was dispatched to the 80-Block of Maple Street at 3:30 PM on Monday for the report of flames coming from a window of a home. 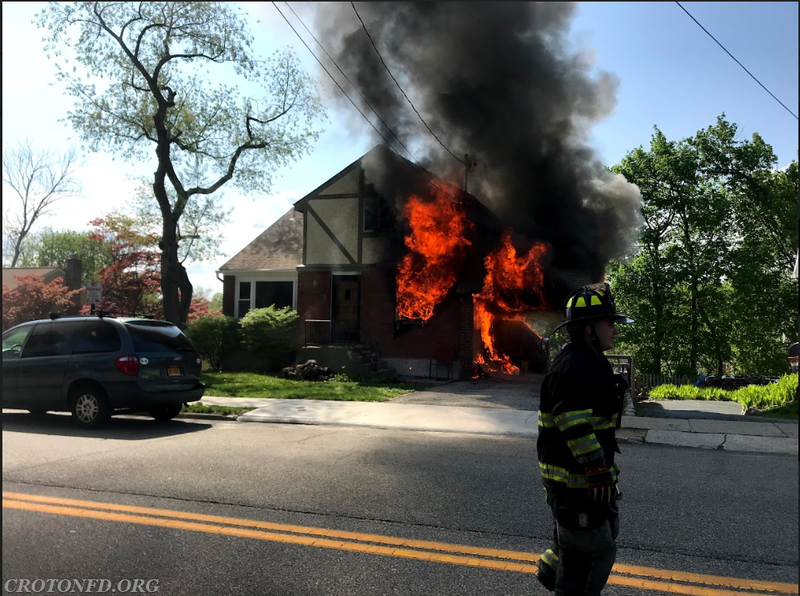 On the initial assignment was a CFD "Full Department Response" as well as a Firefighter Assist & Search Team (FAST) from Ossining FD..
About one minute later, Car 2088 (Deputy Chief P. Dinkler) was on scene confirming smoke from the residence. Car 2082 (Assistant Chief Munson) arrived seconds later and transmitted the "10-75" for a working fire. This brought an additional Engine Company from the VA Hospital in Montrose, a second FAST from Yorktown FD, the Cascade Unit from Buchanan FD and Ambulances/Paramedics from Croton EMS and Ossining EMS. Tanker 10 was first arriving and placed a 1 3/4" hose line in to operation, first soaking down the neighboring house where the vinyl siding was beginning to melt, then darkening down the fire on the first floor from outside while a second 1 3/4" hose was stretched from T10. Engine 118 arrived, secured a hydrant and stretched an additional 2" hose line to the fire building. 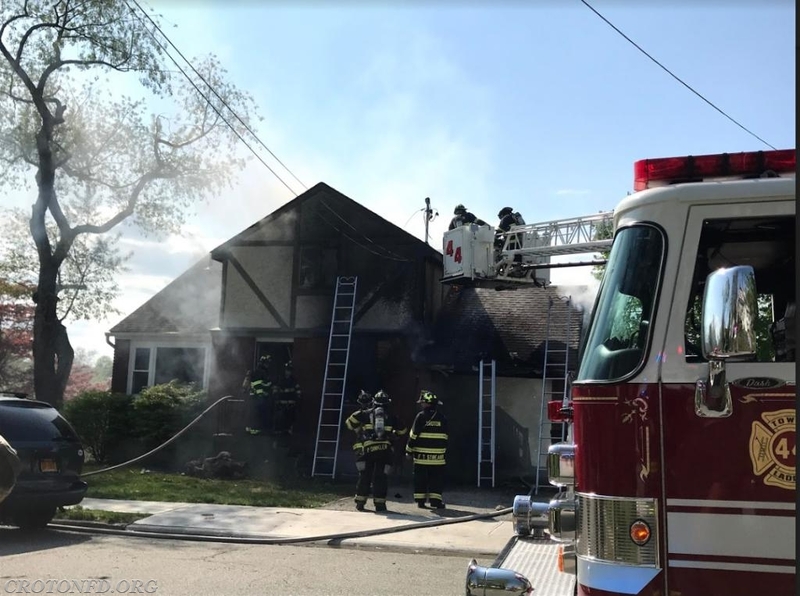 While these assignments were going on, TL44 arrived and took up a position to access the roof with it's aerial platform, and sent personnel to open up and vent the heat and smoke on the top floor. E120 arrived and helped T10 secure a hydrant while personnel from that company also assisted with the fire attack. Additional CFD personnel from R18 & U14 were also used to extinguish fire and overhaul. Once the front door was forced open, searches were performed for victims and additional fire spread. Five of the family's seven cats were found and removed from the residence, however they succumbed to their injuries. Chief Colombo assumed the "Operations" role, keeping Asst. Chief Munson in Command..
E225 from the VAFD was the first Mutual Aid on scene, and that crew acted as the initial FAST and then went to work in the fire building as well as checking the exposure building for fire extension. Some of the members from the Ossining FAST helped relieve Croton members with soaking down hot spots and opening up once the Yorktown FAST was on scene and in place. The YHFD FAST assisted by placing ground ladders and clearing windows for emergency egress for firefighters operating inside. Command placed the fire "under control" at 4:18 PM. Mutual Aid was released shortly after, and CFD units remained on scene assisting with looking for additional pets and removing valuables until 7:30 PM. 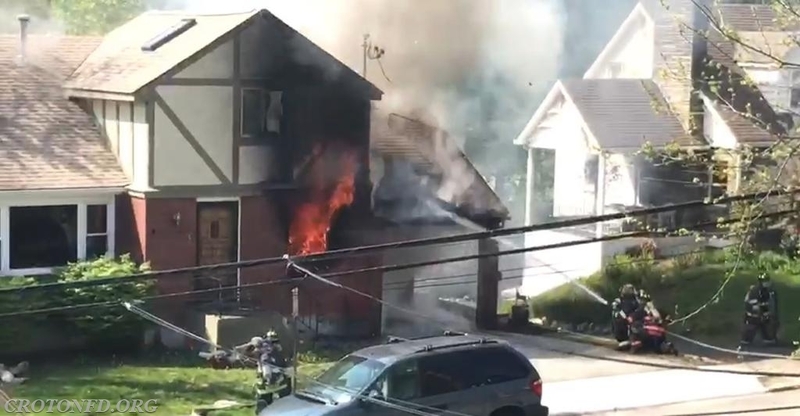 The cause of the fire was deemed "accidental" by the Westchester County Fire Investigation Team, likely attributed to an electrical malfunction. While over 50 of Croton's Bravest operated at this incident, an Engine from Montrose FD and Ladder from Ossining FD was relocated to our Harmon Firehouse to cover our district in the event of any additional emergencies. A "Go Fund Me" account has been established to assist the residents of this blaze. A link to it is attached.